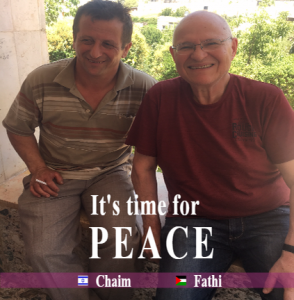 This International Peace Day, we want to celebrate the many Israelis and Palestinians who have come together through our Parallel Narrative Experience (PNE). This project has brought together more than 1,000 Israelis and Palestinians, thanks in large part to funding from USAID, but recent aid cuts have put the future of our work at risk. 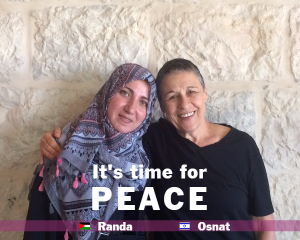 Help us continue bringing Israelis and Palestinians together through the Parallel Narrative Experience. Please consider making a contribution today. Randa and I are part of the steering committee of the Narrative Alumni Community. I wish more people would meet the other side, get to know them and their narrative, and realize that peace is possible. Fathi and I became friends through the Narrative Project. We believe that personal connections is the way to live together in peace.